Enough of Apple,Samsung,Nokia etc, you need not have to spend always some handsome money to have gadget with latest configuration. Today we are going to review the A500S from XOLO. 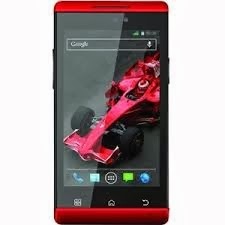 If you want to buy smartphone and have budget constraint here it is the smartphone from XOLO, A500S within 6k. I am using this phone from 2 months and it’s great, here is very brief review on key specifications, which can help you to decide whether this is the smartphone which you want to buy. Enough of processing speed to support routine tasks. You can enjoy your favorite songs while chatting on whats app with your friends and do lots of other things simultaneously with smooth and fast processing. Though it breaths hard when you try to overload it. Good for mid level usage. Front camera quality is very poor. Flash quality is pathetic, providing such flash doesn’t make sense. 5MP pic quality is decent though we can’t compare it with SONY or SAMSUNG smartphone camera. You can enjoy video calling with this phone under 6k which is rare. Actual usable internal storage is only 1.2 GB. So it is required to have memory card if you have lots data to be stored in phone. RAM is ok for the mid level usage. Good screen resolution and size to view videos and play games. Look and feel is classy. One can always get confuse this phone with sony xperia by look. Very delicate, need to have the good quality cover to protect the phone from damage. Though they have tried to customize the look but it’s not that much fascinating. Some basic feature icons (like messaging, calculator) sometimes give look of china phones. Given choice to the user for selecting some customized XOLO themes. XOLO Secure app is provided to protect the phone in case of loss by tracking and to take backup of data. Audio quality is good and decent. Battery backup is little less, though provided with power app for optimal battery usage and monitoring. You can get it within 6000/- on online purchase. Best buy at this price. This is the best configuration one can get within 6k. Best look and performance. Those who don’t bother about brand and have budget constraint can go with this smartphone definitely.